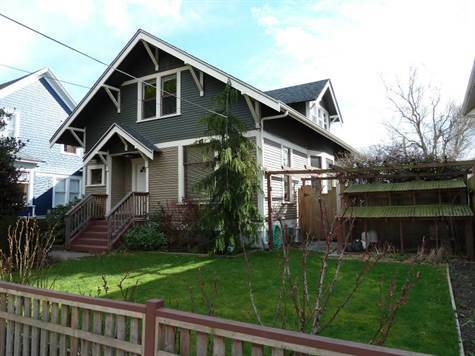 Downtown, Bellingham - Custom Craftsman with style and character in historic lettered streets district. If you like to walk you are near downtown & the marina. Upgrades make it like NEW & the details are a must see! Open floor plan, high ceilings, original wood floors, custom 1920's kitchen with inset cabinets, new appliances, on demand hot water, new insulation, & double pane windows. While you are here, take a look under the house, you truly find beauty EVERYWHERE. Large backyard deck, raised flower beds, a rose garden to greet you, immaculate landscape, with a three pear espalier (established and producing), chicken coop & outdoor hi-tech shop for wood working or your favorite hobby. If you would like to take a look call Shannon Neufeld for a showing 360-393-1183.